The first FlipTech conference will be held at Collingswood High School on June 29th and 30th. 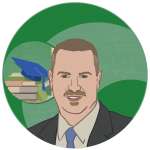 Internationally recognized flipped learning pioneer Aaron Sams will deliver the opening Keynote Friday morning. Kelly Walsh, founder and author of EmergingEdTech, and Flipped Learning Network Community Administrator, will deliver the Saturday morning Keynote. There will be plenty of breakout sessions to choose from on Friday. Friday evening will include a screening of the new documentary, “Most Likely to Succeed”. Saturday will include an unconference, “FlipCamp”.